November 6, 2012 - (West Palm Beach, Florida) - NetJets Inc., a Berkshire Hathaway company and the worldwide leader in private aviation, announced today the opening of a new private facility at Palm Beach International Airport (PBI). NetJets partnered with Signature Flight Support Corporation, the world&apos;s leading FBO network, to develop the state-of-the-art, 10,000 square-foot facility, which is located on the northwest corner of PBI airport in West Palm Beach, Florida. 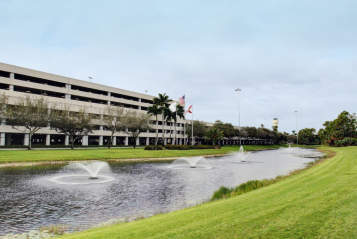 PBI airport is one of NetJets&apos; most popular domestic destinations with more than 10,000 NetJets flights in and out of the airport annually. NetJets has entered a long-term lease with Signature Flight Support for the facility and worked closely with them to customize the facility design to serve NetJets&apos; customers&apos; exacting needs and preferences. 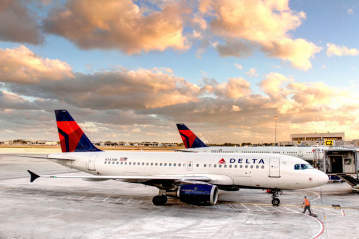 The facility offers modern amenities, including a children&apos;s entertainment room, conference and business center, flight planning facilities, crew lounge, approximately six acres of paved ramp and convenient car parking area. The exclusive-use facility is for NetJets use only and will enhance the safety, service, value and effortless travel experiences NetJets&apos; customers expect from the worldwide leader in private aviation. "We are pleased to enhance the unmatched service and value we provide our customers with this premier, private-use facility, which is our sixth dedicated FBO in the country," said NetJets Chairman and CEO Jordan B. Hansell. "This state-of-the-art facility offers outstanding amenities to NetJets&apos; customers and crewmembers in the Palm Beach area, which is one of our most popular domestic destinations." Hansell added, "Signature Flight Support is a customer-centric flight support services provider and terrific partner for this facility." 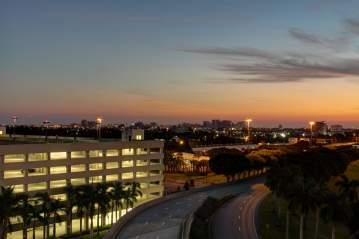 "This new, modern, state-of-the art facility at Palm Beach International Airport was made possible through close collaboration with NetJets, the world&apos;s most prestigious private aircraft provider. We are very excited with the innovative features of the facility that will enhance the customer experience, and we value the relationship between Signature Flight Support and NetJets. Signature Flight Support and our uncompromising emphasis on safety, service, and operational excellence are aligned with NetJets, and we are ready to welcome their customers to the new dedicated NetJets facility in Palm Beach," stated President and Chief Operating Officer of Signature Flight Support Maria Sastre. NetJets Inc., a Berkshire Hathaway company, is the worldwide leader in private aviation with the largest and most diverse private jet fleet in the world. NetJets began in 1964 as the first aircraft charter and management company in the world. In 1986, NetJets pioneered the concept of fractional aircraft ownership - offering individuals and businesses all of the benefits of whole aircraft ownership and more, at a fraction of the cost. Today, NetJets offers a full range of private aviation solutions through its programs in North America and Europe, including NetJets SharesTM, NetJets LeasesTM and the Marquis Jet Card®, which provides access to NetJets through a 25-hour jet card. NetJets recently introduced the NetJets Signature SeriesTM of aircraft, which are new aircraft that will be entering the NetJets fleet that are customized from design through production and include advanced cockpit and cabin technologies to ensure maximum safety, reliability and operating efficiency, as well as advanced in-flight entertainment systems and custom cabin designs. The NetJets Signature Series of aircraft include the Embraer Phenom 300, the Bombardier Global family of aircraft, the Cessna Citation Latitude, and the Bombardier Challenger 350 and 605 series. The North America program is managed and operated by NetJets&apos; subsidiary NetJets Aviation, Inc., and the European program is managed and operated by NetJets Transportes Aereos, SA, a Portuguese/EU Air Carrier. In the United States, NetJets also offers aircraft management and on-demand charter services through its subsidiary, Executive Jet Management, Inc. Subject to obtaining relevant regulatory approvals, NetJets will also offer aircraft management and charter services in China through NetJets China Business Aviation Limited, a joint venture between NetJets and a consortium of Chinese investors. The NetJets companies offer worldwide flight operations. More information on NetJets, NetJets Europe, the Marquis Jet Card, and Executive Jet Management is available at www.netjets.com. Signature Flight Support Corporation, a BBA Aviation plc company, is the world&apos;s largest fixed-base operation (FBO) and distribution network for business aviation services. Signature services include fueling, hangar and office rentals, ground handling, maintenance and a wide range of crew and passenger amenities at strategic domestic and international locations. Headquartered in Orlando, Florida, Signature currently operates at more than 100 locations in the United States, Europe, South America, Africa and Asia. For more information, please visit: www.signatureflight.com or on Facebook at www.facebook.com/signatureflightsupport. Follow Signature Flight Support on Twitter: @SignatureFBO.